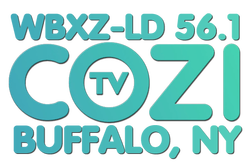 COZI TV is here. Watch great shows like Six Million Dollar Man, Starsky and Hutch, Magnum P.I., Make Room For Daddy, Here's Lucy, Maverick, Fantasy Island and more. Check our schedule for times. At the present time we do not have our own production facilities. Programs must be produced independently of WBXZ and we are compensated for their airing.